Would you look at this nice, sweaty-from-the fridge, Italian rosé? You just know it’s going to be lovely with a fresh summer salad and, most importantly, a group of friends. The bottle you see pictured, the Il Chiaretto from producer Azienda Agricola San Giovanni, comes in squat little bottle that has a sturdy presence on your picnic table. Digging up some information on where exactly in Italy this wine comes from, I found on importer A.I. 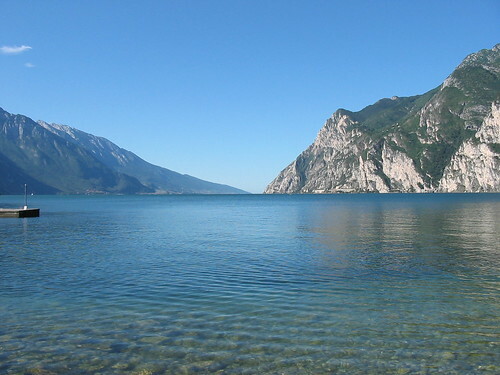 Selections‘ website that it’s “located along the Lombardian shores of Lake Garda.” That sounds totally poetic to me. A quick spin around Google tells me Lake Garda is the largest lake in Italy and is in the northern part of the country, west of Verona. And a quick spin on Flickr brought me to some gorgeous images of this lake. 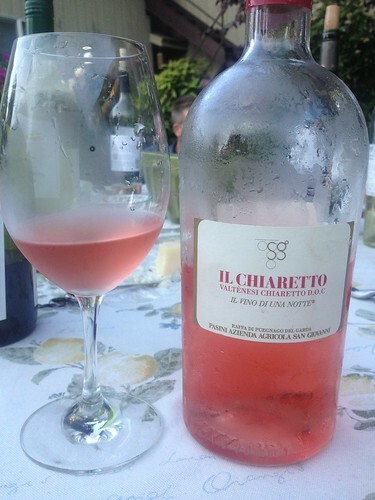 Was Lake Garda created for the sole purpose of being a backdrop for local rosé enjoyment? I think so. 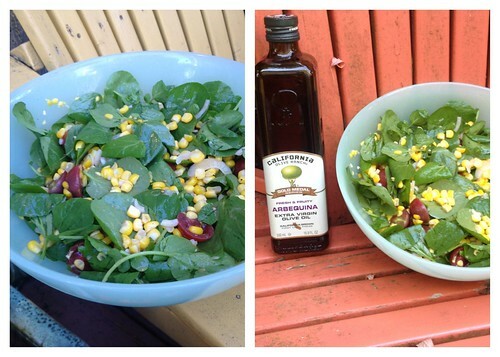 Watercress, tomatoes, some tiny onions and corn. The only cooking involved was briefly roasting the corn. A salad dressing of rice wine vinegar and olive oil from California Olive Ranch (which I received as a free sample) completed this dish. The sweetness of the corn balanced out the very peppery watercress. And the oil, made from the Arbequina olive, was fantastic; beautiful color, aroma, and flavor. Definitely fresh and fruity, much like the rosé. 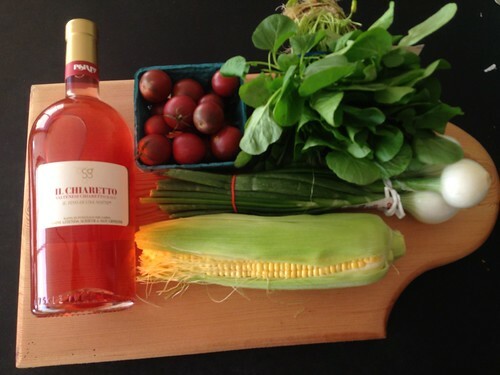 Well-chilled pink wine and a fresh summer salad? What else do you need? One final note: I was wondering about the phrase “Il vino di una notte” on the front label. Once again, I turned to Google for guidance. Apparently it translates to “The wine of one night.” If that’s accurate, I have to disagree, as Il Chiaretto is a wine for many, many nights. 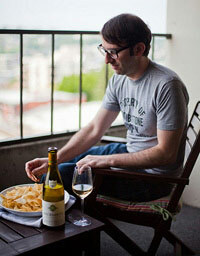 And sunny days in Seattle, on Lake Garda, or anywhere in between. Dreamy image of Lake Garda courtesy marjoleinknuit.